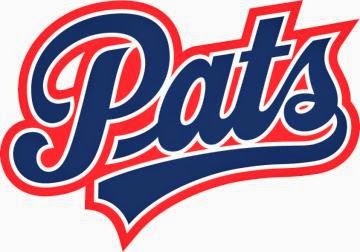 Regina, Saskatchewan – The Regina Pats Hockey Club made two selections in the 2017 CHL Import Draft on Wednesday morning. In the first round, 60th overall, the Pats took 17-year-old Russian defenceman Yegor Zamula. The product of Chelyabinsk scored three goals and had 23 assists in 36 games with Metallurg Magnitogorsk U17 in 2016/17. With the 120th overall pick in the second round, Regina selected Finnish forward Emil Oksanen. The 19-year-old played professionally with Espoo United of the Mestis League in 2016/17. He scored 13 goals and had six assists in 48 games. Oksanen stands 6’1” and weighs 189 lbs, he won a gold medal at the 2016 Under-18 World Championships with Team Finland. I'm a little surprised the Pats didn't attempt to move up in the import draft. Saskatoon passed at 15. Why not send them a mid round pick to move up? Well technically you could have a team pick for you and swap players/bantam picks after the import draft. The Pats may have something in place, who knows. In a Memorial Cup year you definitely want to maximize your import slots. First year import players can't be traded neither, so no they can't.